Here is a map shows territory of Bosnia and Herzegovina. interesting map of Gorazde calibrated free download. topographic map of Sokolac calibrated presented. actual map of Pale и OziExplorer calibration for Garmin. actual map of Koran for you. free map of Zabojska for Garmin. free map of Vukosavljevici for you. actual map of Han Vucja Luka with gps calibration for gps. interesting map of Vrhovine и OziExplorer calibration free download. interesting map of Vranesi calibrated for you. free map of Stojkovici with gps calibration displayed. 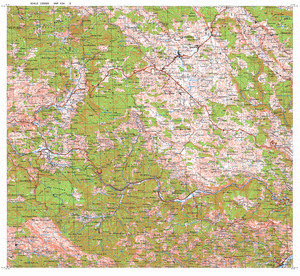 topographic map of Stambolcic free download. free map of Sisici for gps. free map of Semihova и OziExplorer calibration for Garmin. detailed map of Sahbegovici calibrated for gps. topographic map of Rusanovici displayed. topographic map of Rosijevici for you. detailed map of Rogousici with gps calibration presented.